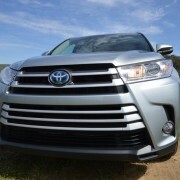 Toyota’s Hybrid Highlander tops the model range in both horsepower and fuel economy. It’s hard to beat that double-barreled punch. 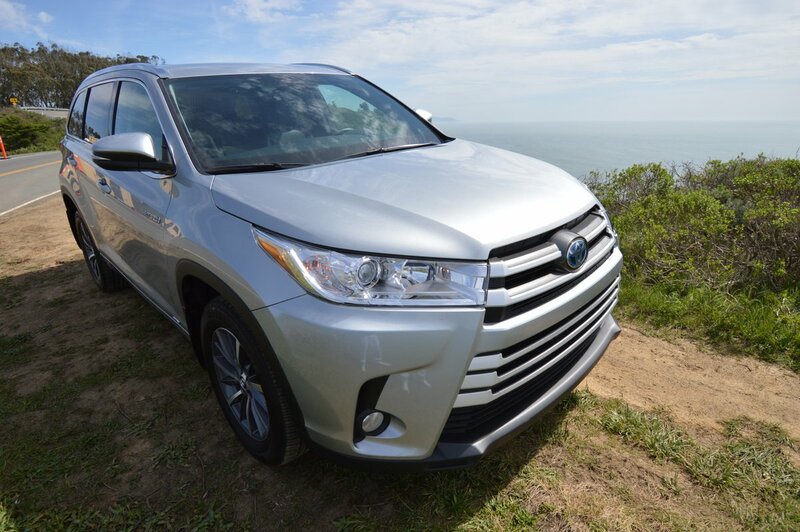 In the non-Hybrid Highlander, the 3.5-liter 2GR-FXS V6 produces 280hp in gas-only form, with an overall mileage rating of 20MPG. 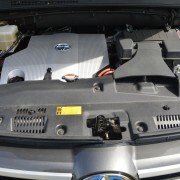 The Hybrid electric boosted V6 trumps those numbers, with a combined gas/electric output of 290hp and a fuel consumption rating of 28MPG. 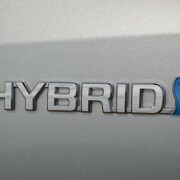 In addition to the 3.5-liter V6, the Hybrid adds a pair of synchronous magnetic electric motors. 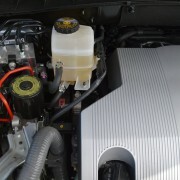 The front unit motor produces 123 kW of power and 247lb.-ft. of torque while the rear electric generates 50 kW of power and 109 lb.-ft. of torque. 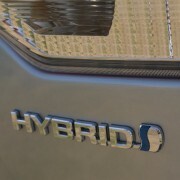 The Hybrid really jumps when you mat the throttle. There’s more than enough torque to provide sprightly acceleration and a solid tow rating of 3,500lbs. Highlander’s towing attributes include standard Trailer Sway Control. 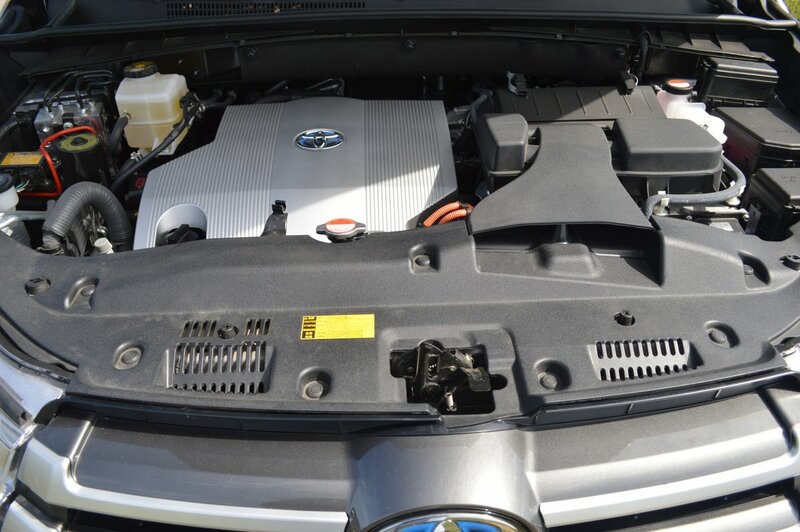 The Hybrid system feeds power to all 4 wheels through a CVT transmission which works surprisingly well with this complicated power package. 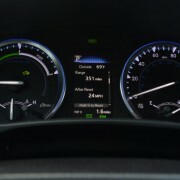 You can select pre-determined speed ranges with a dual gate transmission lever on the console between the front seats. Paddle shifting is not available, however. 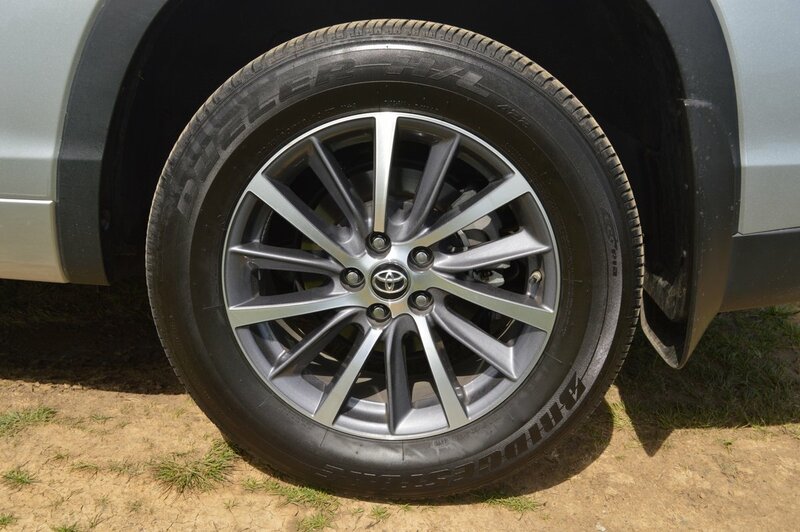 Hill-Start Assist Control is a big plus, especially if you are towing a trailer. 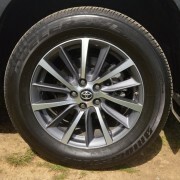 What Toyota calls “electric on-demand all-wheel drive with intelligence” judiciously metes out power as needed to the four Bridgestone Dueler H/T tires (245/60HR18) mounted on standard 7.5×18” alloy rims. 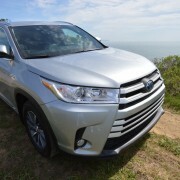 Unlike Toyota’s truck-like 4Runner, which relies on body on frame construction, Highlander is a crossover version of the Camry platform with integrated body-chassis monocoque design. 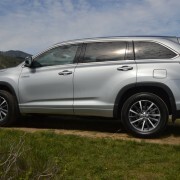 While the 4Runner will run circles around the Highlander in rugged off-road endeavors, the Highlander is far superior to its off-road cousin in daily driving. Highlander’s fully independent suspension systems front AND rear soak up the bumps of the daily grind with such finesse that you float over bad road in blissful comfort. 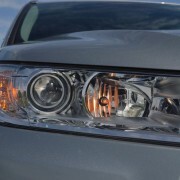 In XLE trim level, the Highlander hybrid requires almost nothing in the way of pricey extras. 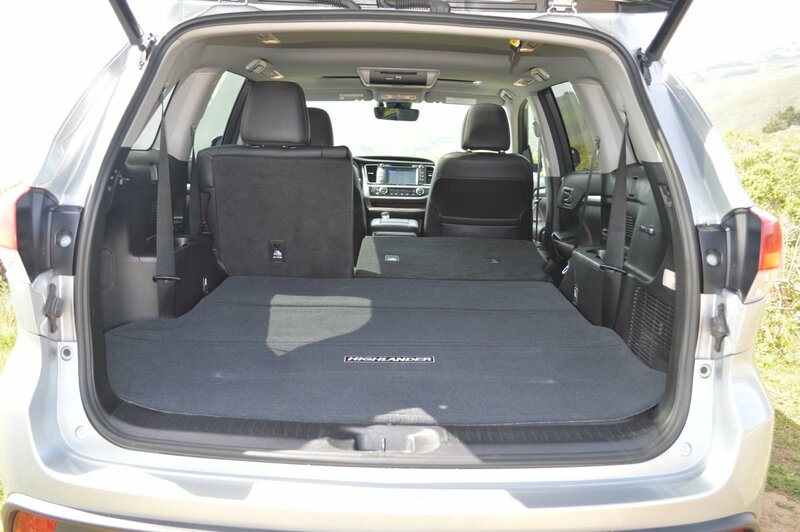 In fact, our base price $41,330 test SUV included just one optional addition — $1,810 for a rear seat Blu/Ray DVD entertainment system. 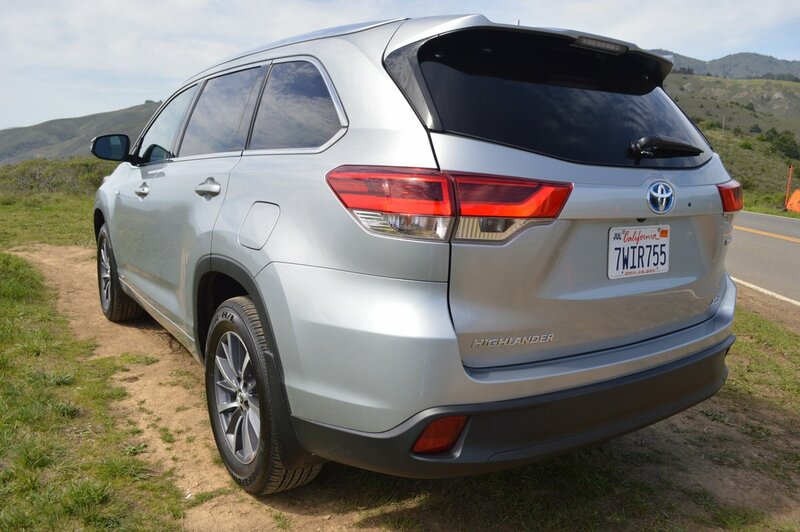 With an added $940 for dealer prep, the Highlander’s out-the-door price amounted to $44,080. For that rather modest money, you get a highly dependable all-weather, 8-person (!) hauler that records excellent fuel economy, decent acceleration, and merits a Recommended check mark from Consumer Reports. 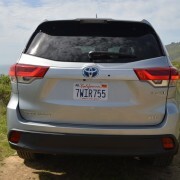 How can Toyota manage to cram 8 humans into this Highlander? They have devised a pop-up, 3-person rear bench which converts easily into flat storage space for normal use. The second row of our test vehicle contained a 60/40 split folding bench also good for 3 adults. 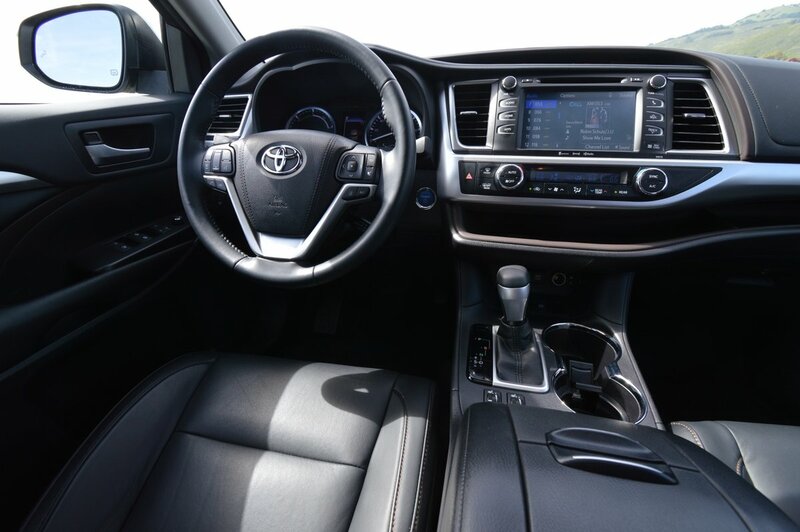 Unexpected niceties offered for this second row include reclining seat backs and window-mounted privacy screens. If you fold just one of the second-row seats flat, you can still carry 3 adults and a full-size bicycle inside the cabin. This 4,990lb. 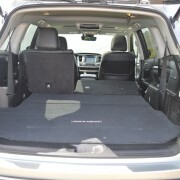 Toyota offers up to 40.5 cubic feet of interior cargo space with all second and third row seats collapsed. 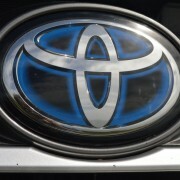 While the interior finish of this Toyota, which is built in the USA (Princeton, Indiana) is serviceable, it is somewhat less than luxurious. 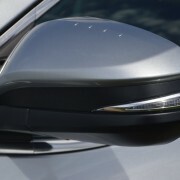 Expanses of pebble grained black vinyl mark the dashboard and door panels, with small matte silver plastic inserts added to relieve the visual tedium. 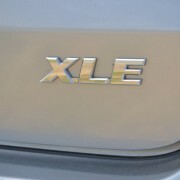 You get the idea that the XLE, while an upper echelon trim level, could stand some improvement. 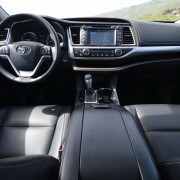 The front seats, for example, while heated, aren’t terribly comfortable, despite the fact that the driver’s side offers 8-way adjustability plus lumbar, while the passenger side musters 4-way adjustment. 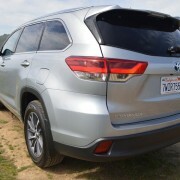 Toyota does offer a “Limited” version of the Hybrid that promises to elevate both the enjoyment and the base price of the Highlander. 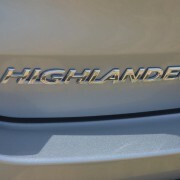 In the great scheme of things, the Hybrid Highlander hits the mark on all the important targets: its usefulness as a transportation tool is irrefutable. Its practicality in operation is unsurpassed for a vehicle of this size. 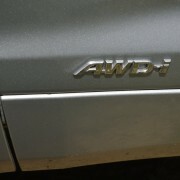 Its pleasure to drive quotient is refreshingly unexpected given its pedestrian appearance and sizeable curb weight. 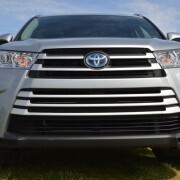 For a family in need of all purpose transportation, the Hybrid highlander is hard to beat for the money. 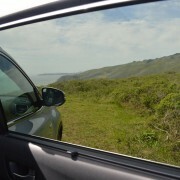 2010 Ford Focus Review - The compact car that can!